Maximize your team’s potential with powerfully positive workshops. Engage, inform and inspire your team with effective, fun and impactful workshops that get results. Maureen “Mo” Douglas’s workshops leave participants feeling inspired and confident to take on new challenges, think more creatively, strengthen team culture and achieve greater results for your organization. Whether helping organizations reach their full team potential or teaching them how to embrace positive public engagement strategies, Mo delivers dynamic workshops with insight and humour. Her half-day and full-day workshops have yielded positive results for governments, businesses and community groups. 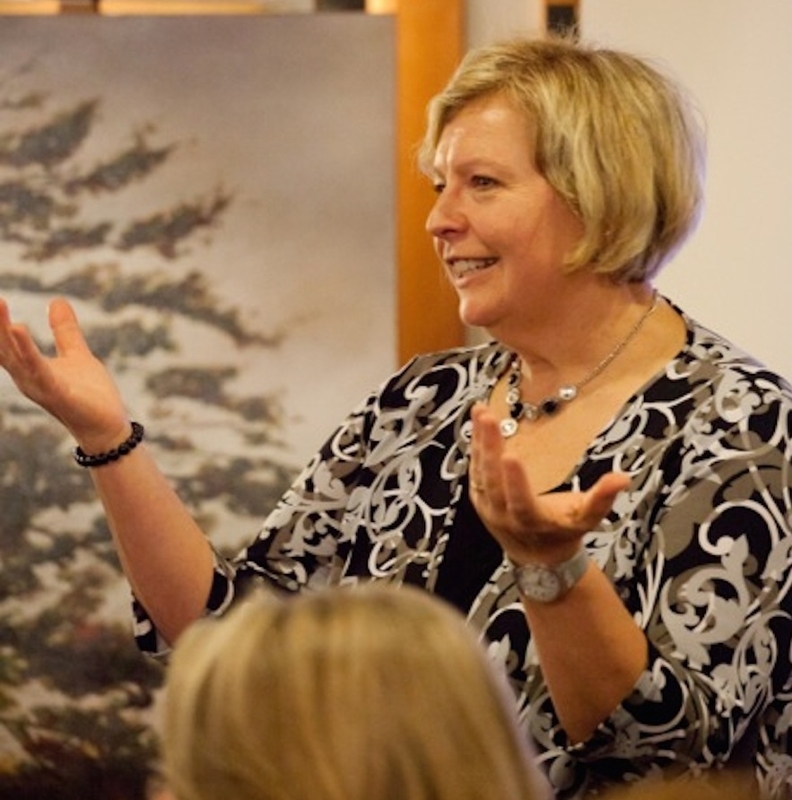 A Certified Professional Facilitator, Maureen Douglas teaches practical skills using real-life experiences, impactful storytelling and effective best practices. Customized workshops are available upon request. The journey from good manager to great leader is an exciting one. It’s one that allows managers and their teams to learn how to exceed expectations through greater collaboration. Yet many potentially great leaders get stuck in a “manager’s mindset”, limiting their untapped potential. Funny, engaging and powerfully positive, Maureen Douglas is an expert at getting people unstuck. Practical and tactical, she made the leap from manager to leader early in her career. On the way from good to great she’s learned powerful lessons including the importance of mid-level managers as effective, collaborative leaders. With enlightening real-life examples, compelling insights, and interactive exercises, Maureen demonstrates how to inspire, mentor and creatively motivate teams. This motivating 3- to 4-hour interactive session gives new managers the confidence to embrace their role and provides seasoned leaders with the coaching tools required to support managers. The powerful impact of leading by example. How leaders effectively engage and communicate with their teams. How great managers can provide leadership up, down and across an organization. How to ingrain best practices into daily team leadership. Does your team embrace and demonstrate shared values like teamwork, excellence, trust, commitment and collaboration? If not, your organization is running at half speed. Imagine what would happen if everyone was firing on all cylinders? Maureen Douglas knows the power of cohesive, collaborative teams. She’s proven it consistently with the dynamic teams she’s led in communications, tourism and event sectors. Whether working with Olympic organizing committees around the world or organizations close to home, she’s consistently helped groups discover and deliver excellence by committing to a shared values framework. With humour, positivity and a wealth of experience to share, Maureen takes your group through an exciting journey of discovery. Using progressive facilitation techniques like Appreciative Inquiry, she gets team members talking, listening and collaboratively selecting, adopting and embracing workplace values. The result? An aligned, empowered team that approaches their work with renewed passion, dedication and innovation. This dynamic 4-hour interactive session is excellent for strengthening small organizations, individual departments, and project teams. How to enhance positivity and empower all team members to excel. How to reap the benefits of increased collaboration, productivity, and innovation. Spark up your working group with Committee Chemistry. Are your committee meetings spontaneously combusting? This workshop brings together the elements required for great committee chemistry! A catalyst for successful group work, this workshop creates a culture of respect, collaboration, communication and community engagement for boards, working groups and committees. With humour, energy and dynamic interactive discussions, Maureen shares ideas and tools that result in practical, effective leadership skills. This workshop is excellent for boards, not-for-profit associations, working groups and committees.